The No. 7 seed from Austria overcomes Benoit Paire in five sets and advances to the second round of the Australian Open. Dominic Thiem emerged victorious from the final match played on Tuesday evening on Margaret Court Arena. The 25-year-old Austrian fought past Frenchman Benoit Paire 6-4, 6-3, 5-7, 1-6, 6-3 to reach the second round of the Australian Open. 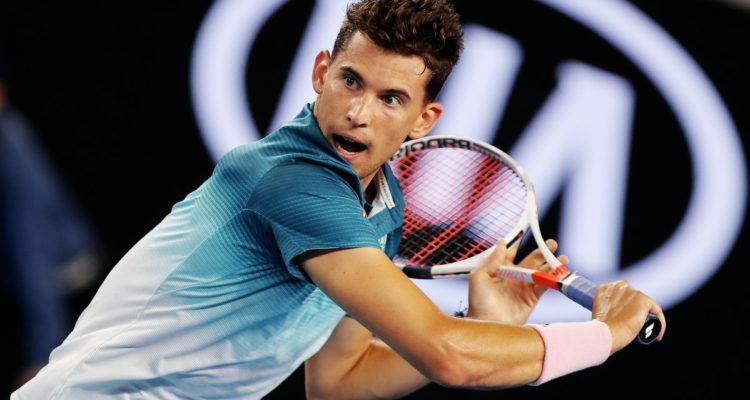 Thiem, who arrived in Melbourne without earning a match win this season, withstood 21 aces breaking his opponent’s serve five times to seal victory in three hours and 42 minutes. The No. 7 seed will next take on Australian wild card entry Alex Popyrin, who edged out Mischa Zverev from Germany in the three sets. This entry was posted in Australian Open, Grand Slam and tagged Australian Open, Dominic Thiem, Grand Slam, Melbourne.